The Phytophactor: Leaves you feeling really small - Galaxies Galore! 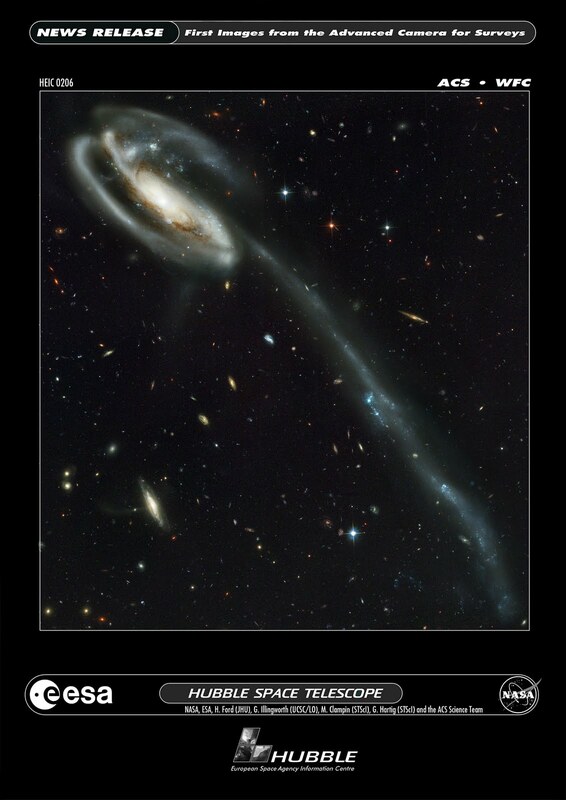 Leaves you feeling really small - Galaxies Galore! The Hubble space telescope is just about the niftiest research gadget ever. Here's a deep space image of a galaxy (upper left) that has moved through another galaxy and pulled it apart (tail toward the lower right). Boy, there goes the neighborhood. But what really grabs me about an image like this is you're looking at a tiny fraction of the sky, a portion that includes just a couple of stars with their characteristic cross shape in the foreground, a teeny-tiny part of our own galaxy, and all the rest, all those specks of light receding into the distance, all of them are galaxies. Yes, the Universe is a really, really, really, really big place. Wow! HT to Starts with a Bang.